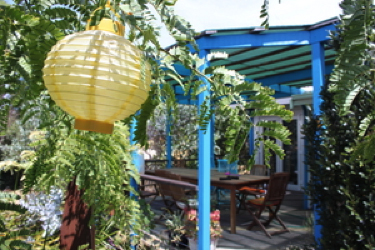 Join Chris Ferreira and Open Gardens Australia on an open home and garden tour at his Sustainable Home in Hamilton Hill. Chris explains how he â€œBeat the Droughtâ€™. Since retrofitting his 1950â€™s home and garden, Chris is opening his home garden to show how his garden has survived and thrived its third Perth summer. 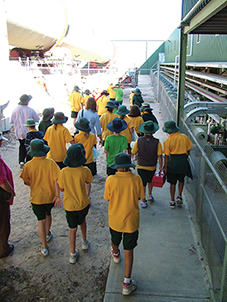 Tours throughout the day covering food production, Waterwise and native species, soil improvement, best practice fertiliser use, how to use plants for natural heating and cooling, and much more! Palmyra Primaryâ€™s Kitchen Garden Program will be serving up delicious falafel and spicy harissa from 11.30am using ingredients grown in the kitchen garden. This ticks all the boxes - nutritional food, local ingredients, great taste and a fundraiser too! 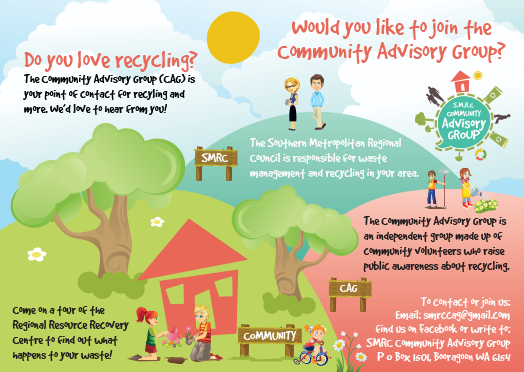 The SMRCâ€™s Communtiy Advisory Group will be there with loads of recycling tips and information. And of course, morning and afternoon teas available for purchase throughout the day from Native ARC. An $8 entry fee will be charged by Open Gardens Australia. No charge for children under 18 years. For your chance to win free entry for two to the event â€“ like Recycle Right NOW with SMRC on Facebook and tell us in 25 words or less why you think recycling is important. 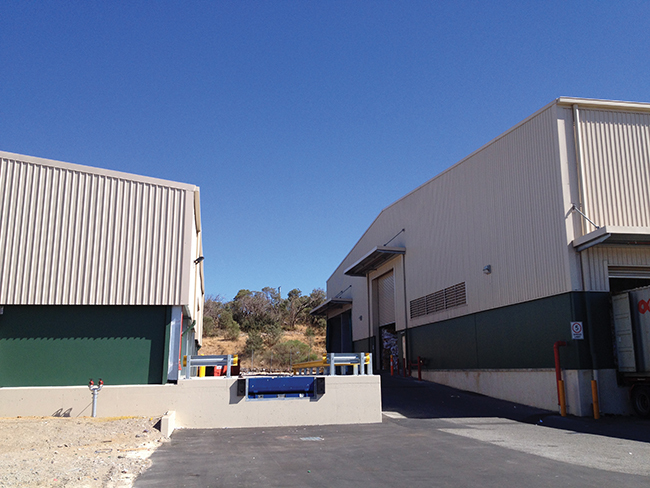 The new bale storage shed and loading dock at the Materials Recovery Facility is now complete and operational giving the MRF more capacity for storage of baled recyclables. Clean up Australia Day is this Sunday the 2nd of March. 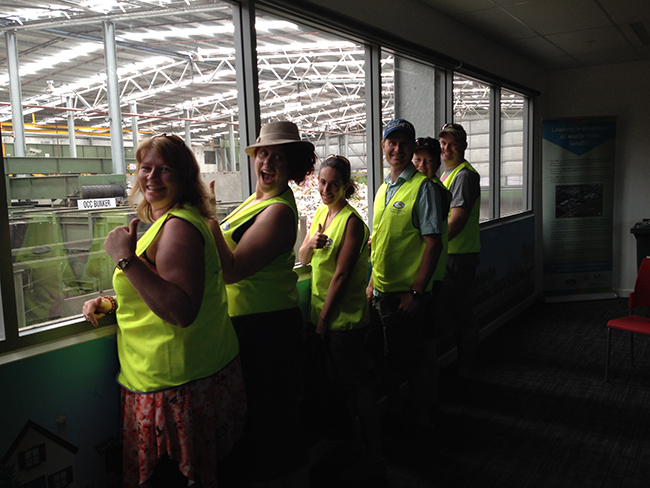 On Saturday the 22nd of February the Australian Science Communicators visited the Regional Resource Recovery Centre. They gave the tour the big thumbs up! Some members of the group took some cuttings from our vegetable garden to take home! Thanks for coming in and helping us to spread the word about Recycling! 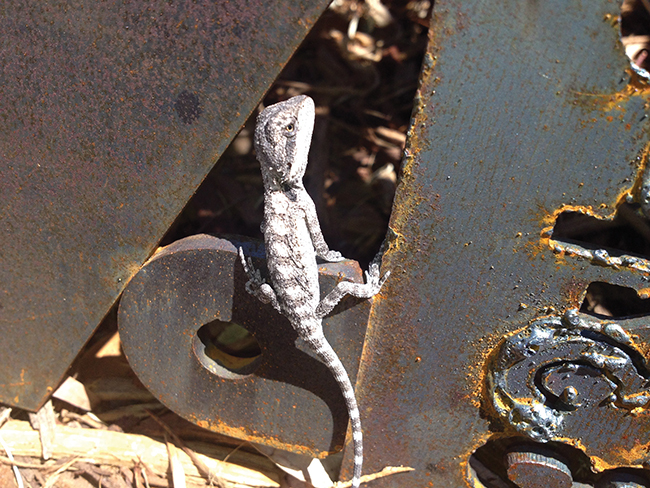 Wilbur the Western Bearded Dragon has moved into the RRRC vegetable garden to live and is loving warming himself on the new recycled metal art. We think he is also loving his new diet of the various insects and flowers in the garden. Why not come on a tour and meet Wilbur for yourself! 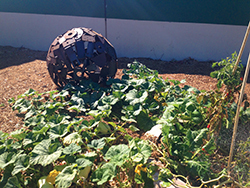 The SMRCâ€™s Vegetable Garden is currently being overrun by Pumpkins! 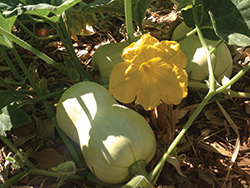 Pumpkin is a fruit and is loaded with potassium and vitamin A.